The ideal choice to explore the best what Italy has to offer. 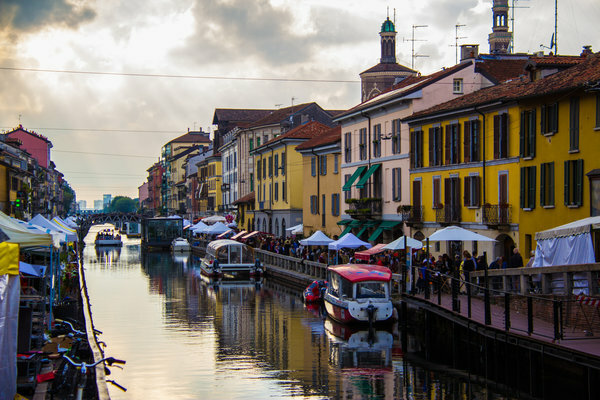 Milan is one of the most preferred tourist destinations in the world that can make anyone fall in love with it instantly. The exotic Amalfi coast is a place that houses some breathtaking views and fantastic architecture that will be an absolute treat for the eyes. The awesomeness of Florence is something that cannot be explained in words. Mind-blowing in every aspect. Lose Italia is definitely the best choice if you want to explore Italy to the fullest. They know the place more than anyone else. More than anything they provide an amazing service. Lose Italia is undoubtedly one of the best in the business. With more than a decade in the industry, we are able to live up to the expectations of the client in every aspect. Our aim is to be the best in the business by providing our clients with service of unparalleled quality. Italy has been one of the top destinations for travellers all over the world owing to its art, charming towns, beautiful scenery, passionate people, and mouth-watering cuisine. 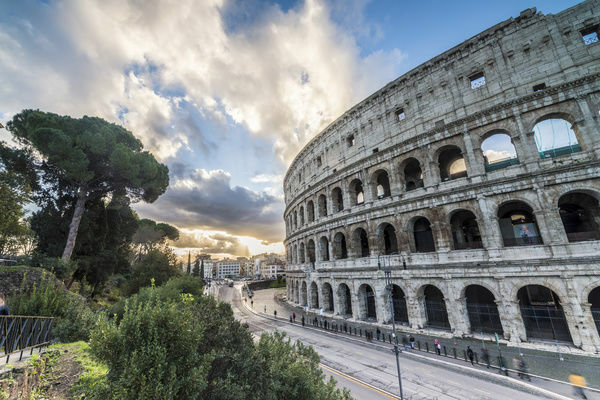 Home to the most iconic sights in the world such as the Leaning Tower of Pisa, the Colosseum, and so on, Italy also offers its visitors a rich array of stunning natural landscapes, hiking routes, beaches, and several other opportunities to connect with nature. The options are many – a cultural tour of the city, or lazing on the sandy beaches along the coast. But here are some must-see places that Italy has to offer. The past 2500 years have seen Rome as one of the most important centers of culture, power, and religion, owing to its housing the Vatican City, as well as several ancient Roman structures. Located in the central region of Lazio, Rome is an amalgamation of history and modernity that cannot be fathomed in a single day. While Rome is about the history and the ancient times, Tuscany is Italy’s most famous region known for its wine tasting in Chianti, the sublime hill towns like San Gimignano, and the artworks of Florence. Tuscany is synonymous with rolling hills, olive groves, vineyards, and cypress trees, all of which add to the region’s charm. Venice is undoubtedly one of the must-see places in Italy and is built upon a lagoon surrounded by the Adriatic Sean. Consisting of 118 islands connected via bridges and beautiful canals, with the main Grand Canal dividing the city into two sections, Venice is one of the most romantic sites in the world. Make sure to take a gondola ride when you’re there. Pompeii was buried for years under volcanic ash for nearly 1700 years since the catastrophic eruption of Mt. Vesuvius. The site has not yet been fully unearthed, but still remains one of the most popular tourist destinations in Italy, as it sheds light on the fascinating lives of Romans of the bygone years. One of Italy’s top destinations to visit, the Amalfi Coast is situated in the south-western region of Campania, and is extraordinarily beautiful. 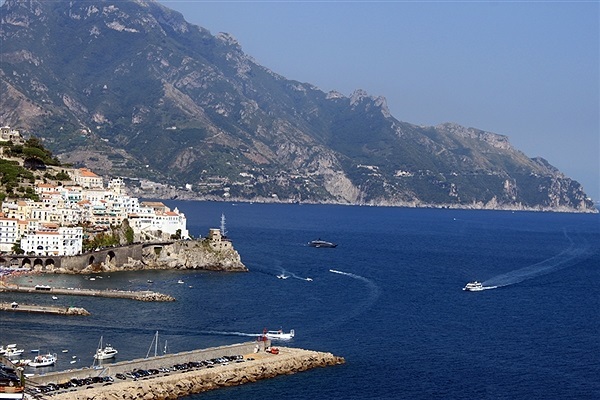 Characterized by its shimmering coastline, jagged cliffs, lemon tree gardens, and ritzy resorts, the Amalfi Coast features plazas lined with restaurants and a plethora of gardens and artwork. Milan has to be one of the most talked off destinations in the world despite being nearly destroyed by a bombing during WWII. Home to high fashion and da Vinci paintings, and the world’s largest gothic cathedral, this is not a place to miss. From Romance to Art, Culture to Cuisine, Adventure to Thrill; Italy has it all! I remember picturing all the artifacts and sculptures while reading Dan Brown’s novels. The way he describes ancient monuments is a real justice to what Italy has to bring. 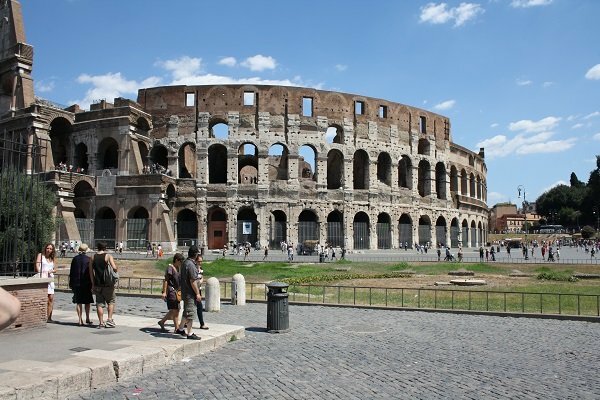 One of the major tourist attractions which once used to be called “Flavian Amphitheatre.” Chosen as one of the Seven Wonder of Modern World, Colosseum glorifies with significant history. Roman Empire built the amphitheater under the label “bread and circuses” which allows more than 50,000 people to gather at a time, watching a battle of gladiators, witnessing an execution, a feast or other entertainment purposes. One of the largest churches in the world, St. Peter Basilica is the holiest temple of Catholics. The Basilica was named after one of the Jesus’ disciples, Saint Peter who later became the founder of the church. Saint Peter was crucified in Rome and was entombed, the very place where Basilica now poise. Many architects together designed the church itself; dome was designed by Michelangelo. Baths of Caracalla is an art form of showers from ancient Roman times. Since 212AD Rome is successful in preserving the works of Emperor Caracalla who initiated the need to detox the problem of sanitization. The baths were active for thirty decades and provided with the facility of three different kinds of water, cold, Lukewarm, and hot water baths. The Grand Canal is entirely a treat to the eyes. With reverse-S shaped waterway, Grand Canal divides the country into two parts. This 30-40-meter-wide canal sorrounds Venetian castles from both the sides giving a zig-zag way out. This Canal gives an outlasting shimmery look of sunset and lights in the night reflecting on clear water, with ferries crossing the waterway under the streetlights on twain shores. Rialto Bridge is indeed the heart of Venice. This bridge was earlier known to be the only way of crossing the Grand Canal on foot and therefore had played an immensely important role in ancient times. With three passageways, Rialto Bridge amuses tourists till date. Two along the outer balustrades or the staircases and the wider one in the center. There is no movie, no photograph nor any book which can put the beauty of Venice into words or reel! 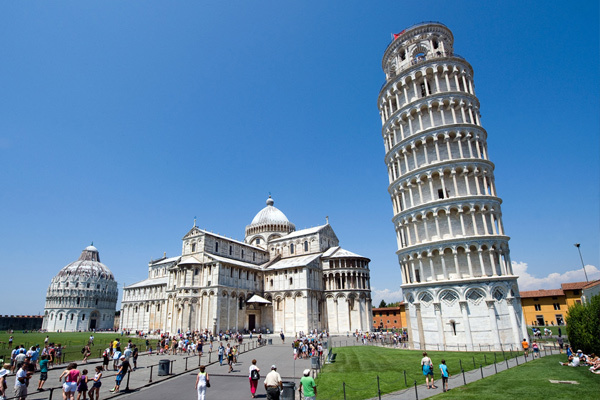 While Italy is famous for many Leaning towers but Leaning Tower of Pisa has made a long way through all of them. The bell tower of Pisa located in Piazza is infamous for a reason. The mast was deliberately tilted to compensate the weak foundation due to unstable soil. The monument came into sight to most people in the Superman 3 when the Superman straightens the leaning tower. The art of ancient work is a must visit for sure. 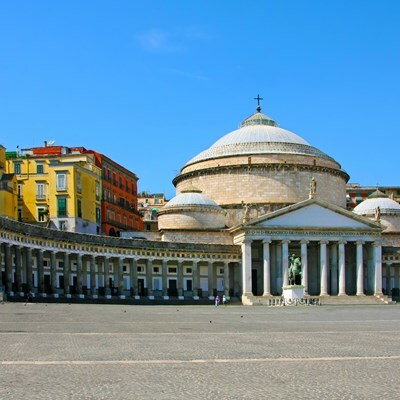 Naples differ from all the other Italian cities with all the thrill and enthusiasm you get to see through the street. One can feel hungry with the pizza essence you get to smell while walking down the roads. The city is brighter than one can put into words, and you can always listen chirping and whispering throughout the town. The waterfront allows prosperous harbor in Naples. The insights of ports and ships trading and importing give a historic gateway of trades to one’s eye. The small island is divided into two towns Capri and Anacapri. With the scenic beauty and wonders, nature has to offer, and the offshore island becomes a treat to one’s eye! Marina Piccola is a perfect place for sunbathing even during winters as the cliffs surrounding the oceans protect the harbor from the wind. 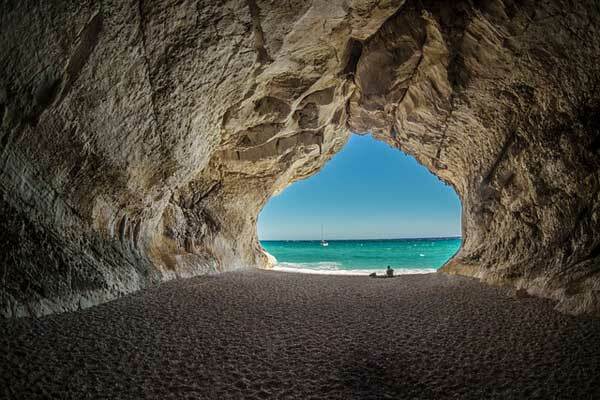 The most visited site to chill and relax at beaches of Marina di Pennauro and Mulo. It still amuses me that how calm and beautiful an active volcano can be. Mount Vesuvius is situated at shores of Naples and is open for visitors. 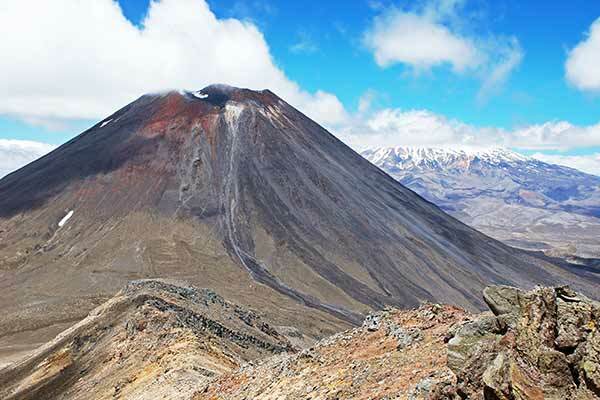 The mountain is the only active volcano in Europe and has happened to produce the continent’s most massive eruption. The facts of the sight itself deliver the thrill to visit the wonder once in a lifetime if not more. The 79AD eruption buried Pompeii into the volcano ashes. 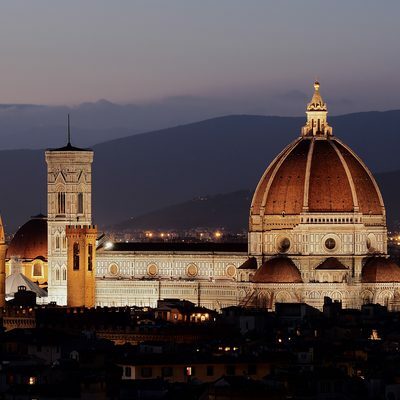 Popularly known for the art and architecture Florence is the heart of Italy. 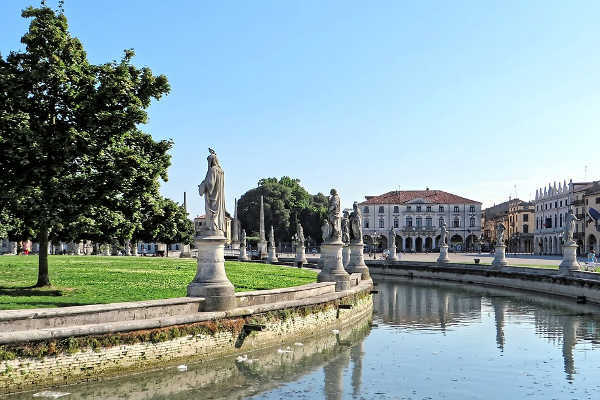 The city resides into the laps of Arno River and is home to the world’s greatest artists. An entire town is a strive of the Italian Renaissance, symbolic movement which broke Rome out of the Dark age. Ponte Vecchio is known to be one of the oldest bridge across the Arno River with plenty of shops residing over giving the most acoustic scene of the city. The evenly matched windows across the bridge don’t just provide a glimpse of the hallway but a home to worth a king ransom portraits which are usually self-portraits by the world’s famous artists like Leonardo Da Vinci, Michelangelo, and Velasquez. Italy is more than just a boot-shaped peninsula. With more than thousands traveler’s footfall exploring around Italy, the place is a must-visit destination. This country is a place where you get to elate your inner pioneer, photographer, foodie, and observer with rich culture and history bounded with every monument or pedestal you visit, every cuisine you might try to get your hands on or every path you want to delve into. Italy is not only famous for the “meraviglioso” wine from Tuscany valleys but also for the well-heeled ancestry Romans left behind. Colosseum remains the prestigious amphitheater of all time, and Leaning Tower of Pisa is still an art of unique sculpture. Rome is a city with Roman history at its heart. Trevi Fountain, St. Peter’s Basilica, Pantheon, Colosseum, Roman Forum, Vatican Museum, Spanish Steps, Terme Di Caracalla, Piazza Venezia, and Capitoline Museums are must-visit places in Rome. Venice being a lagoon is a city of water. There is no city like Venice in the whole world where streets are moreover of water than roads and ferries are the way of transportation. 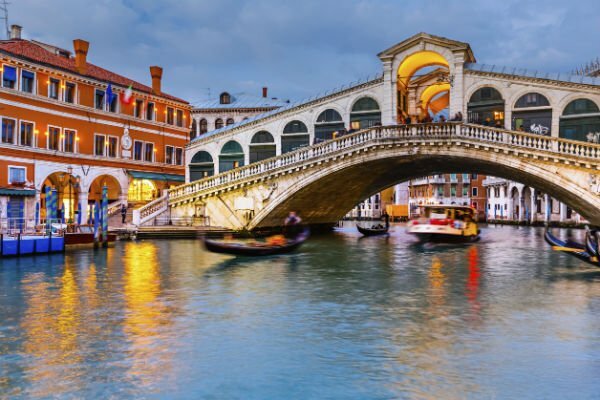 The beautiful as it sounds, you must visit Grand Canal, Rialto Bridge, Doge’s Palace, Basilica Di San Marco, Teatro La Fenice (Opera house), Ca’ Rezzonico, Church of Madonna, Jewish Museum, and Santa Maria Della Salute. Amalfi Coast and Capri are the places where you can relax and chill under the pleasant sun where you can enjoy sunbath even during winters. 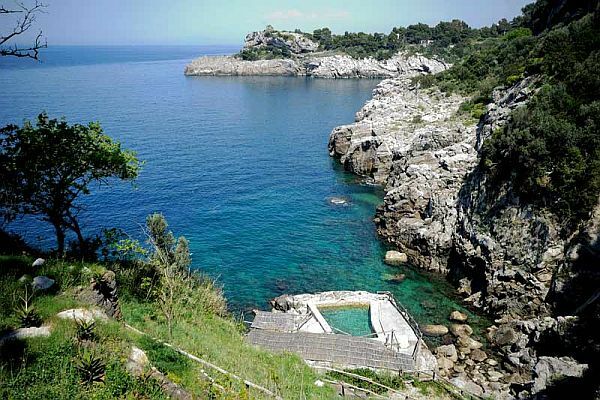 A place of luxurious stay with a sight of ocean and cliffs, bayside port and diving, Amalfi Coast and Capri has it all. The streets smell of Pizzas and, and you can always listen to the people talking and celebrating on the streets anytime. 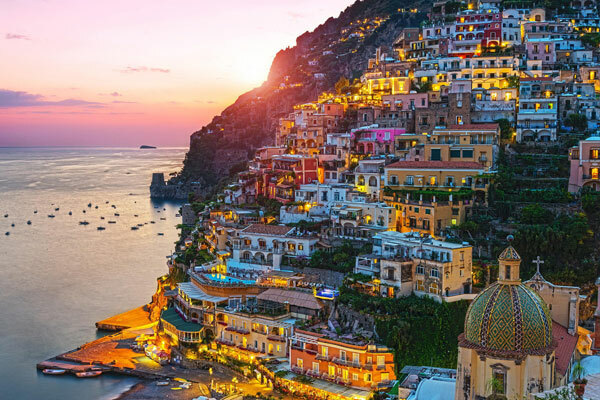 You must visit the town of Sorrento, admire the pastel-colored houses of Positano, visit the city of Amalfi, travel to the peaks of Ravello, and the best, enjoy the beaches of Maiori. The best restaurants you must visit when in Rome to grab a bowl of Spaghetti, carbonara, gelato, and other best Italian dishes at Tamburello di Pulcinella, Pane e Salame, Le Pergola, Verde Pistacchio, Via Nazionale. Venice is a place where you get the world’s best dessert. You must try your hands-on Veneto region pudding named Tiramisu. If you are Amalfi Coast and you do not try Limoncello, then it is a complete waste. Milan is not only a fashion capital but also is the best place to try Mondeghili and Margherita of Naples is yet another must try beverage of Italy. When in a city like Paris, it is necessary that your stay match the quality of the entire trip. The best hotels in Paris range from luxury hotels, boutique hotels, budget hotels, and affordable hostels as well. Here are some of the best options for you to choose from when visiting the City of Lights. 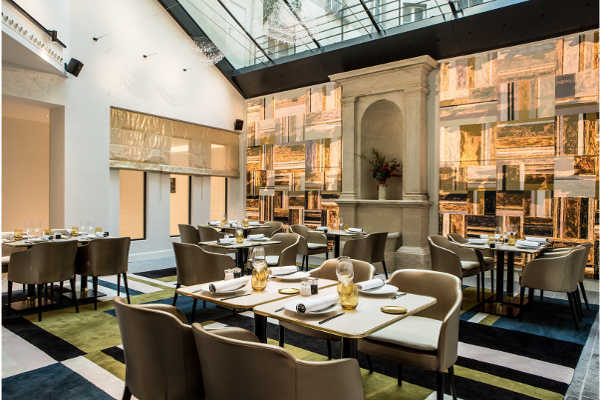 Going for £311 per night, the Fauchon L’Hôtel has a subtle undercurrent of gourmet indulgence that is characteristic of its parent, the fine-foods maison Fauchon. A delicate blend of history and the contemporary, this five-star hotel is a short walk away from the city’s tourist attractions like the Museé de Louvre and the Siene. The 54 rooms spread over six floors are serene with pastel palettes, contrasted by the bright corridors. The hotel also pampers its customers with spa services and elegant dining. Yet another five-star hotel located in the prime location of the first arrondissement is the Hôtel Castille that goes for £252 per night, and offers a unique blend of contemporary comfort and a classic Parisian bourgeois charm, along with an authentic Italian dolce vita that is rare to come across in Paris – a combination that reflects all through the hotel, even in all of its 108 rooms. The Michelin-starred chef, Ugo Alciati heads the kitchen making for an extraordinary dining experience. 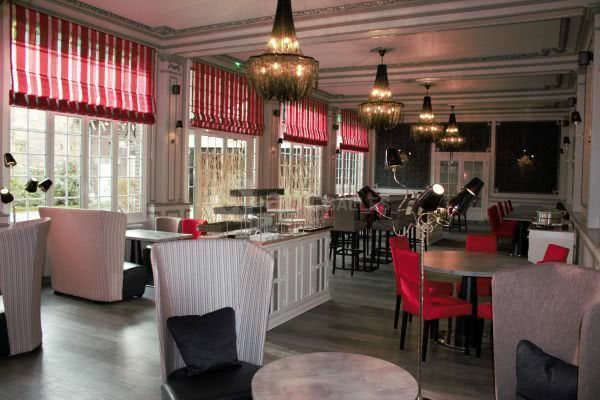 This three-star hotel comes as an eminently affordable option for accommodation with its rooms costing £84 per night. Located in Le Marais, which is one of the most fashionable neighborhoods in the city, Jeanne d’Arc is tucked into a pretty lane resplendent with art galleries and tree-lined stroll-ways. What has made this the most sought-out mid-range hotels in the city is the combination of 17th-century charm and modern comfort. All 34 rooms are different based on your travel needs, and the surrounding bars and restaurants, along with the hotel’s restaurant make for a memorable food journey as well. 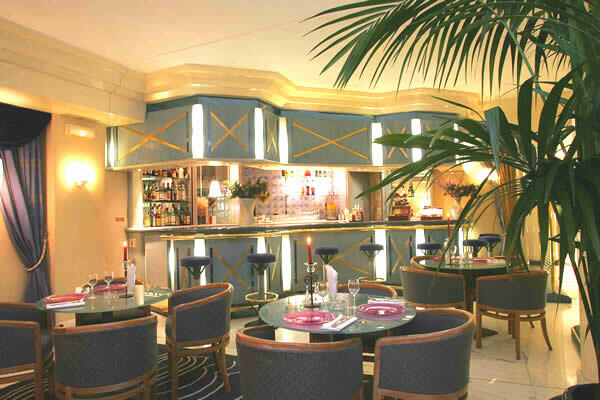 Champ de Mars is one of those boutique hotels in Paris that offers excellent value at a rate of £98 per night. It offers its guests an option to disappear into the French-country style chic of its peaceful, floral-motived rooms that are reminiscent of downtown Paris. All the rooms have some personal touches added that make your stay even more enjoyable. Added to this is the view you are greeted with – the Eiffel Tower that is right next door to the hotel. Stepping out, you can easily find yourself immersed into the café-filled market street of Rue Cler. Europe is usually the first-choice tourists make when it comes to traveling and exploring. Italy is the best country you will study in Europe for sure. With all the historical background and rich culture Italy marks itself as one of the best tourist places in India. With the city of water Venice, with the town of Ceaser and native to Catholic Christians Rome, with the fashion city itself Milan and the city of art Florence, Italy has no boundaries in a glorified culture where Italian Cuisine speaks for itself and has varied and graceful perception towards anything that comes across. I believe every city in Italy has a history linked along. Pompeii is considered to be entombed under the volcano ash for about 17 decades and is thought to emerge only after 1648. 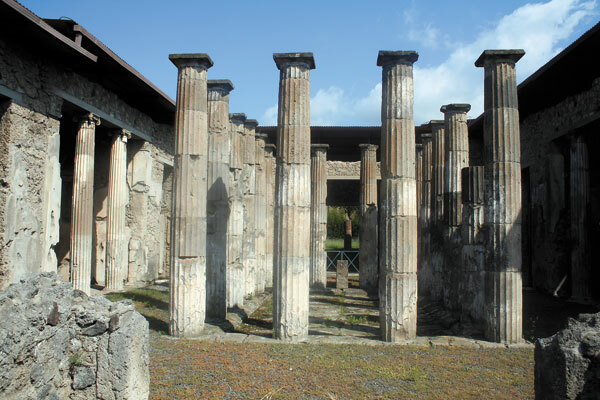 Walking down the streets of Pompeii one can relive the days of Roman Empire with sights of remaining brothels, bakeries and baths along the roads. Shrine of Pompeii is an all-embracing pilgrimage dedicated to the blessed virgin of Holy Rosary. Shrine of Pompeii is a place with a footfall of many devotees walking down 20 miles to complete their pilgrimage to Basilica to shine their commitment towards Holy Mary. Forum of Pompeii is just another interest place to visit. This place was believed to be a political center in ancient times and therefore is known for the culture and religious trend of old times. Temple of Apollo is an artifact from 5th century BC. Apollo is believed to be a Greek God, and the Greeks expanded themselves far beyond their natives. Except for the name ‘Apulu,’ everything remained the same ever since. The rich heritage and historical past are the specialty of origins of Italy. Milan was devasted during World War two due to massive bomb blasts. But Italians never lacked courage and dedication, and there stands Milan yet again strong and grand, now known as the Fashion capital of the World! 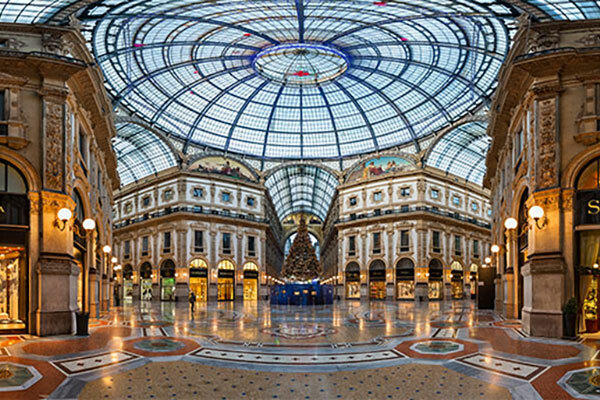 Galleria Emanuele two is a perfect picture for Milan tourists. It is one of the oldest shopping malls from ancient times and is still a sight to glimmer eyed fashionistas. Louis Vuitton, Prada, Borsalino, and many other luxuriant brands have settled their stores right under blue glasses of mall’s dorm. There is a famous saying in Milan, one turning on a heel over montage bull under the dorm brings good fortune. Sforzesco Castle is a pure sample of presenting an endeavor of prestige, power, and heritage. This place is a home to art and culture attracting hundreds of tourists every day. 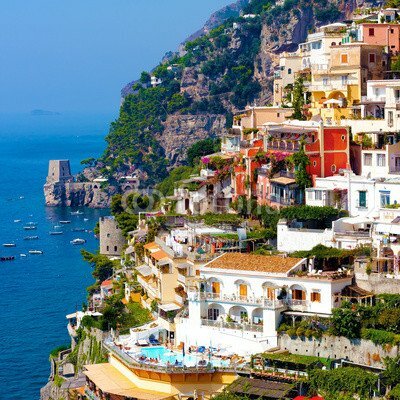 City of Extravagance is Amalfi Coast. With luxurious resort, glistening bays along the coastline, insights of dappled villas, mountain shores, gardens of lemon trees, the city is Posh. The beaten off the path of beautiful sights is an undeniable attraction to the tourists. Putting down to words of how beautiful the city is the most difficult task one has ever to do. Sorrento is the most popular place to visit when at Amalfi Coast, being the outset of the coast. With the perfect weather and view of the ocean, fishing, and diving the beauty remains understatement. Birthplace to Limoncello, and therefore never forget to grab a bottle whenever plan to visit the place. Amalfi is coastal town of Amalfi Coast. Your trip will be unfinished if you haven’t visited Amalfi when at Amalfi Coast. With sunbathing at Marina Grand beach to the cathedral of Saint Andrea, Amalfi has best homemade cup cakes and espresso giving a whole Italian vibe. Vespa rides, witnessing the Colosseum and the Palio in Siena, swimming in the clear Sardinian waters, all contribute to making Italy more than a country – it becomes a state of mind. But this is not to say that Italy is perfect – that would be boring, one thing Italy could never be. With so many things to do and visit in the country, here is a small bucket list of must-do things when in Italy. Italian driving is intense bordering on crazy, to say the least. What better way to experience this than to take a tour in a candy-colored vintage Fiat. Once you get used to the rustic gearbox mechanisms, your guide can help show you the less known-about places the city has to offer like the Orange Garden on Aventine Hill. While you’re at it, check out the Ferrari museums in Emilia-Romagna, a haven for car enthusiasts. The most interesting part of their five colorful fishing villages is that they are connected by sea rather than by roads. The popular way of accessing the area is by hiking, but take a shortcut and escape the large crowds by choosing a waterway and rent out your own boat and captain from a harbor. Avoid crowds even more by dropping in during offseason rather than going along with the peak summer crowds. For those travelers who crave adventure, make a bold move and do a walking tour of Sicily and the Aeolian Islands to get up close and personal with the volcanic area including Vulcano, Stromboli, and even Mount Etna, where you can observe lava flows and volcanic irruptions. Making pasta is a skill that most people wish to acquire. What better place to do this than the home of the pasta itself. You can learn how to hand roll pasta on your own at the CIBO or the Culinary Institute of Bologna. And what’s best is you can cook and enjoy your own pasta with a glass of local wine. The Amalfi Coast that is almost suspended between mountains and the sea is a sight that one must not muss. The drive has a lot of twists and turns, but the beautiful colors of the Mediterranean, its secret peeks, lemon groves and mountain terraces make it a trip worth taking. You can choose between going down to the seaside town of Positano or moving high up into the hills of Ravello for brilliant outdoor opera performances. Italy is not just an ordinary tourist destination. It is something more than that. It renders an amazing experience that can be remembered and cherished forever. 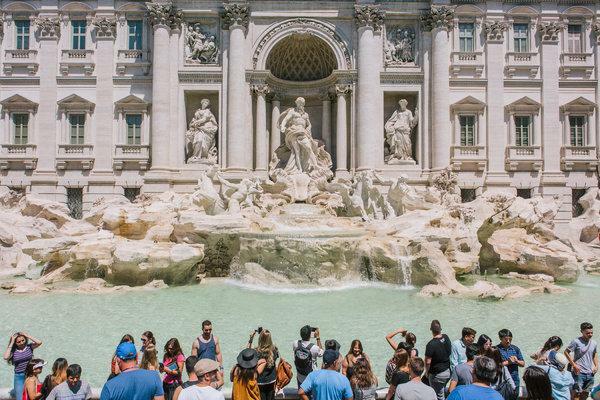 Generally, when people discuss tourism in Italy, the usual things that would pop are the places to visit, restaurants to eat, hotels to stay and so on. But Italy is not just about that. 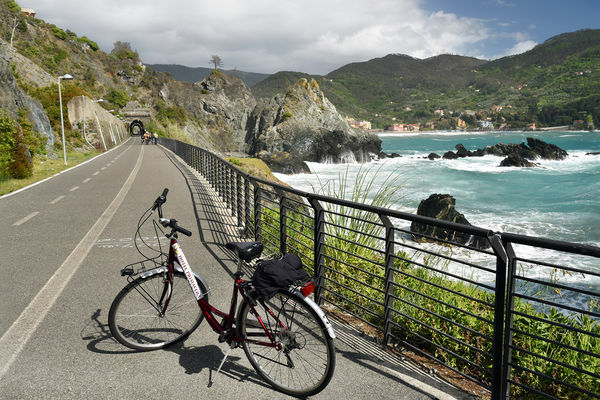 There are a lot of activities that you can indulge in during your visit to Italy. In this article, we will discuss the various activities you can do in Italy. 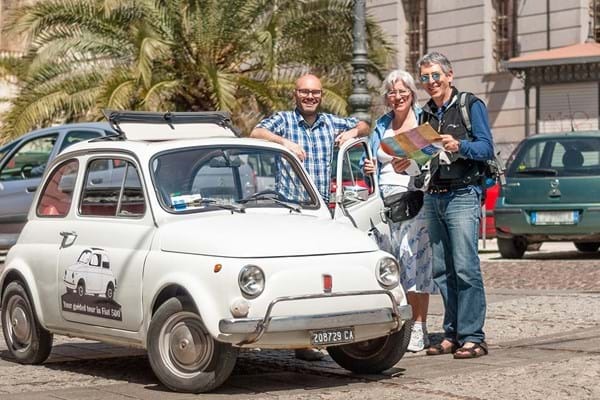 Want to experience how it feels like to drive in Italy with a vintage vehicle? Rent a Fiat 500 for a day the experience the awesomeness. You might have driven some ultra luxurious cars, but the vintage beauty provides an experience that cannot be explained in words. It takes some time to get used to the old methods of steering and changing gear, but once you get a hold of it, there is nothing to stop you. The outstanding feature of the five colorful fishing villages is that they are connected to each other by paths and seas. There is no road connecting them. One of the most preferred ways to witness the beauty of these villages is to hike the coastal trail. You can escape from the crowds by traveling by boat. There are a lot of boats available which you can rent. During the peak season, the place will be jam-packed. So, if you really want to make the best of it, visit during the low seasons. You might have heard people saying not to play with fire. Well, it is time to take things to the next level. Sicily and the volcanic Aeolian Islands offer you the experience of a lifetime by giving an opportunity to take a walk on the volcanic mountains. Stromboli is a cone-shaped island that has a regularly erupting core on the top. Even though it is not very active, Mount Etna is one of the most active volcanoes in the world. You can actually see the molten lava and volcanic eruptions in close calls. 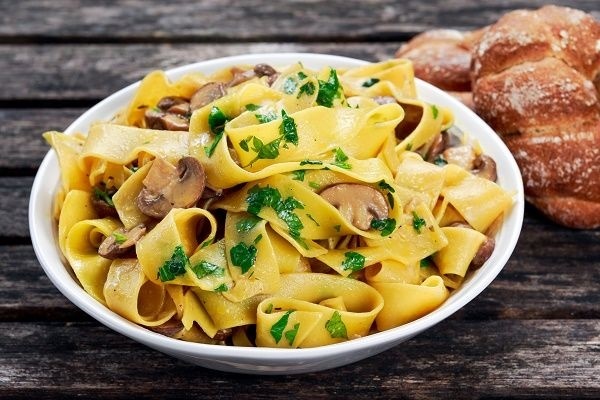 Most of you would have eaten pasta, but how many of you have made pasta? 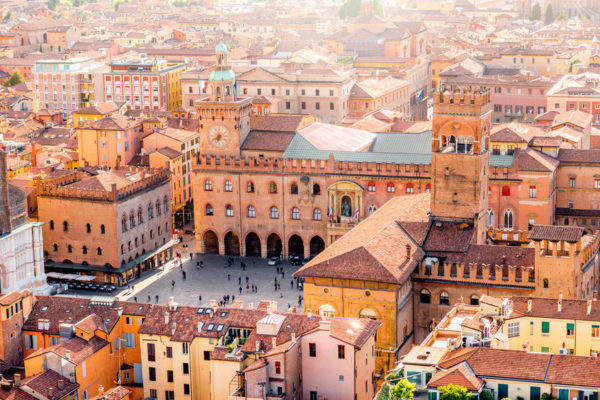 If you ever wanted to have this experience, Bologna is the ideal place for you. You can learn to make pasta from the CIBO – Culinary Institute of Bologna. They will teach you how to make amazing pasta from scratch. 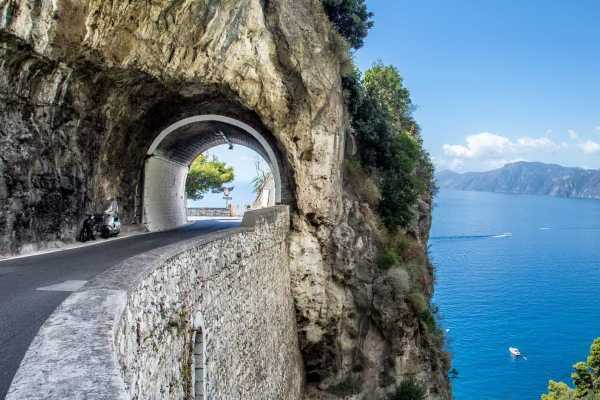 The Amalfi coast is one of the best driving experiences that you could have Italy. The driveway that rolls between the mountains and seas is something that cannot be compared with anything. 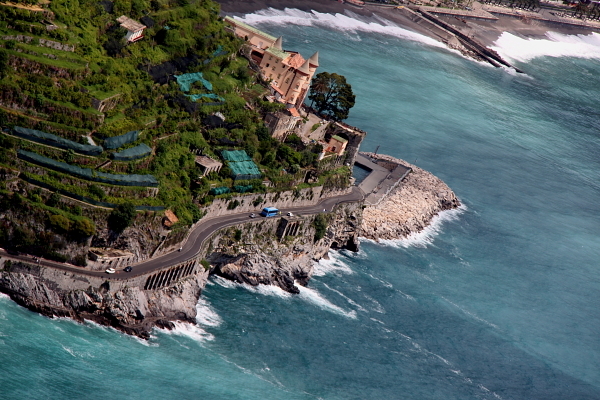 Throughout the coast, you can witness amazing sceneries, extravagant villas, and a lot of restaurants. Take a stop once in a while to have some delicious and lip-smacking food. Italy is definitely one of the most preferred tourist destinations in the world. The country houses a lot of amazing sites that could make you fall in love with it. The country which has a rich history has everything that it takes to be an ideal tourist destination. Whether you are a bunch of adults or a sixty-year-old married couple, it can cater to all kind of tourists. In this article, we will discuss must-visit places in Italy. If you are a person who has a thing for art, Florence would be the ideal choice. Not just in Italy, it is one of the most important cities in all of Europe. The exquisite art and architecture really give a feel of sophistication. Even though it is very much known for its distinct art and architecture, it is also a vibrant city. 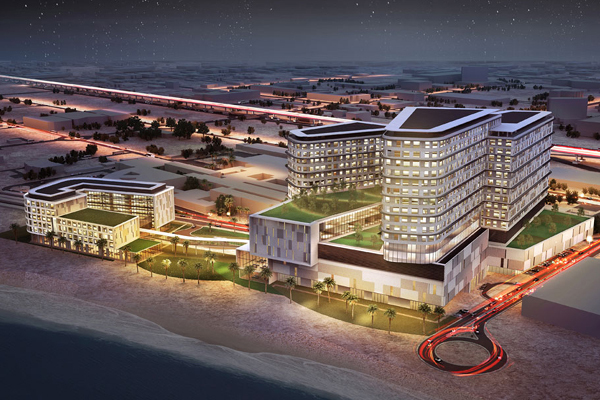 It has amazing nightlife, awesome restaurants and a lot of activities that you can enjoy. It is also an amazing place to shop as the entire city is filled with shops and crafts. When it comes to tourism in Italy Venice always has special importance. The reason is very much evident why the city attracts too many tourists from all over the world. The amazing city which is built on water is something that you will fall in love with. We all know that Venice is filled with a lot of romantic spots. The romance of this place is a never-ending story. Make it a point you visit the Gothic palazzo and lively bars. We can assure you that you can have the best time of your life. Rome is a place that is filled with churches with extravagant architecture and old classical ruins. More than anything Rome is a place where you can stretch your legs and relax because of the amazing Mediterranean climate. The active city houses a lot of bars, wineries, shops, and amazing restaurants. Italy is very synonymous with fashion and exclusive brands. Milan is the fashion capital of Italy. Milan is one place where you can see more tourists than residents. The city has an international and cosmopolitan look. You can see most of the people wearing some high-end fashion brands. The city of Milan is filled with luxurious hotels. A lot of building that has breathtaking architecture has been unexplored because people generally concentrate more on shopping when they in Milan. Unlike most of the places in Italy, Tuscany is a place that has stuck on to the Italian culture for a long time period. If you ever visit Tuscany make it a point to try a bowl of ribollita soup which is made with seasonal cavolo nero and served with fresh olive oil. The art museums in Tuscany have an amazing collection of art that gives a lot of information about rich Italian history. Italy is a country which is a perfect blend of tradition and modernity. The rich heritage, astonishing culture, extravagant architecture and a lot of other entities makes the entire country stand apart from the rest. The country which is located in the southern part of Europe is a dream destination for millions of people in the world. The country that is so synonymous with class, culture, and sophistication has a lot to offer than you can even imagine. In this article, we will discuss the things that Italy is famous for. It does not matter whether you are or foodie or not. Pizza and pasta are two things that would strike anyone’s mind when we say Italy. Without second thoughts the greatest contribution of Italy to the whole world is Pizza and pasta. Even though Italian cuisine has a lot of amazing dishes, these two hold a special place in everyone’s heart. These two dishes have the capacity not just to fill the tummies but also the hearts of people. Italy is one country that has produced some world-renowned artists which include Leonardo Da Vinci, Michelangelo and a lot more. Their works are considered to be the best of all time. It is not a surprise that the artist from all over the world come to Italy to get inspiration from their works. The lifestyle of the people in Italy evidently shows the strong influence of Renaissance Culture. The culture that originated in Florence has a big part to play in their lives. When the rest of the world has changed and adapted a lot of things according to their convenience, Italy is one of the very few countries that is still sticking on to its roots. Italy is responsible for producing some of the best cars in this entire automobile industry which include Ferrari, Lamborghini, Alpha Romeo, and Maserati. Even though some of these brands are owned by other companies, they originated in Italy. Italian automobile brands are very synonymous with extraordinary design and performance. These sports cars never miss grabbing the attention of the people when they hit the road. 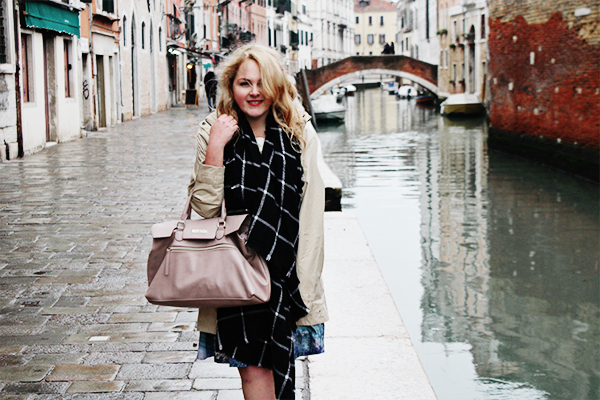 Fashion and Italy go hand in hand. The world famous Milan Fashion Week is considered to be one of the best fashion events in the world of fashion. When it comes to exclusive brands, Milan can give a strong competition to the rest of the biggies like New York and London. The high-end brands like Prada, Armani, and Gucci originated in Italy. When it comes to wine, Italy is the clear winner. More than thirty percent of the wine that is produced in the world is from Italy. It is also the first in exporting finest quality wine. There are a lot of wine brands in the country that has been in business for more than a century. They are run by the many generations of the family following the traditions to produce an unparalleled quality of wine. The first step to make your trip is to check with the dates. After the procedures are done you will receive a confirmation from us. Pack your bags, get to the airport and take the flight. We know more than anyone else about Italy. Copyrights © 2019 Lose Italia All rights reserved.